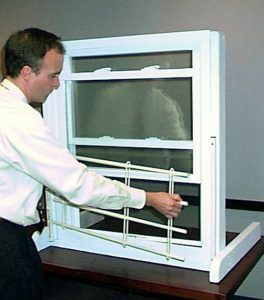 Window guards shield intruders from accessing your home. While you may have a security camera fitted at the gate or any other part of your home, an intruder may still find their way through and though you can see them and even sound the alarm, you may not prevent them from entering your home. To this end, you need window gate install and repair services from a professional in Queens, Brooklyn, Staten Island, Great Neck, Manhattan or Bronx NYC. There are many .window gate services install and repair professionals and you need to choose the best. A window gate, also commonly known as window bars, is a good complement for home security cameras thanks to their great advantages. You should let a window gate install and repair expert help you get it right. 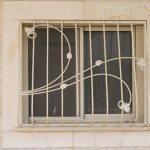 Why Install a Window Gate? Installing a gate is an effective way of deterring thieves from entering your home. They are effective. Given that burglars will always think of entering your home from the ground floor, having window bars will have the intruder thinking twice. Again, unlike a security camera, a window gate is easier to maintain and you will need window gate install and repair services mostly once. Not only do these bars keep burglars away but they also shield your kids from climbing and falling out through windows. Window gates are affordable and do not prevent you from using the window. They are fit for use at home and at your business premises. You can get window gate install and repair services in Queens, Brooklyn, Staten Island, Great Neck, Manhattan or Bronx NYC by calling (718) 445-9200. Choose the best .window gate services install and repair for a good job. 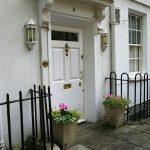 Should You be Worried of a Window Gate? Even with all the advantages you get after a good window gate install and repair service, the window bars can get you trapped in your house during an emergency. They can hinder fire escape and even deny access to firefighters. Nevertheless, you can install a modern window gate which features a quick release mechanism. These will offer the same level of protection as a permanent bar but opens easily from inside the house thereby upping security without inconveniencing you. You can opt for models that require a key to give you access or for those that will require you to use a given tool to open. Some, the modern bars, are easy to open as they feature a latch or a button that snaps off with little force. Though you need a bar that can prevent your kids from falling out of a window, you need one that can easily be operated by the older children giving them the ability to escape in case of an emergency. Ensure you choose the right .window gate services to install and repair expert for a good window gate. Installation and Repair: DIY or Professional? The process of installing a modern window gate is simple. First off, you need to choose the style of window gate you need, take the necessary measurements and fix the gate. It sounds easy enough and like you do not need .window gate services install and repair from a professional in Queens, Brooklyn, Staten Island, Great Neck, Manhattan or Bronx NYC. However, like a door or an actual window, installing wrongly will cost you more money than it would have had you sought .window gate services install and repair. There are a horde of advantages you get when you call a professional at (718) 445-9200. The installation is done fast and without any mistakes that may affect the value of your home. Again, a professional will pay you in case of any damages resulting from wrong installations; and there are rare chances of a mess occurring when a professional handles a NYC window guards installation. However, only the best .window gate services install and repair will get the job done right. There are different NYC window guards designs to choose from. The design of the bars vary depending on the tastes and preferences of the home or business owner. The grills should match other aspects of your home to keep your interior and exterior décor intact. You choose the width of the bars based on the level of security you need. Business owners can install thick bars and for home security, slim sleek bars will do. Given that you only install once and repairs are rare, .window gate services install and repair are affordable and less wanting compared to CCTV which need constant monitoring. We provide quality concealed door closer installation, services and replacement in New York. Call (718) 445-9200 today! A concealed door closer is a great way to safeguard your office or business. Most people will not be able to see your concealed door closer until they are inside of your building so why not use it to help secure your building from danger? Concealed door closer is a highly useful way to give your business a more secure by not letting anyone see the door closer and also protecting it from the public. But why stop there? We can help you design a concealed door that not only is functional and also expresses style and elegance. We also assist indoor repair and replacement. Our experts can help you keep your door concealed with repair and restoration services. In fact, we’ve helped businesses throughout New York and the surrounding communities repair and restore storefronts.When you come to Armor Locksmith, you’ll have access to a team of brilliant minded locksmiths and designers who can work with you to get the most out of your storefront. 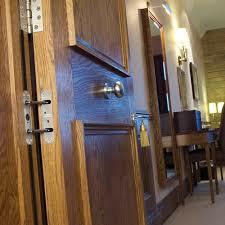 If you’re not happy with your existing concealed door, give us a call and let us put our team to work for you. We’ll cooperate with you to improve the current structure and get the most out of your investment. If you need a new concealed door on an existing building, Armor Locksmith has your solution. We’ve been providing quality concealed doors for companies throughout the area and offer materials for affordable prices on all commercial door products including the finest restaurant sneeze guards, storefronts, display case glass, as well as commercial doors. When in need of concealed door installed whether a repair to an aluminum door, replacement of glass, or fabrication of framework; Our locksmiths have the parts and know-how to make or fix it all. We stock raw aluminum extrusions so that when the need arises, we can cut and punch the frame members and assemble the units for installation to complete your project. We even work on awnings. Our technicians are factory trained in concealed door and service on for almost every type of commercial door in the marketplace. They are known for their imagination and ingenuity. Importantly, we do not use any subcontractors. They arrive in uniform with a fully equipped truck so they can complete the service repair and get your business back to normal as quickly as possible. We leave your business with the area clean, and doors properly fixed. We maintain an extensive inventory of each brand’s styles and features. Once we have the exact size measurements of the storefronts best suited for your needs, our in-house fabrication department uses our equipment to design, weld and fabricate the doors to your exact measurements. Concealed door repair to ensure that your business can continue day-to-day operations as efficiently as possible with your exterior door. For your New York area supermarket, retail store, office building, or healthcare office, we can provide and install the best-concealed door solution. 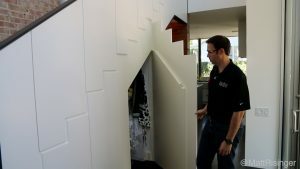 There are many reasons you might need a concealed door, but no matter the cause, it’s critical to get the problem fixed quickly—for the security of your building, the safety of your employees, and smooth operation of your business. Our technicians arrive at your location with the skills and equipment necessary to fix your concealed door and get your business back up and running. We provide 24/7 service, so call us today for emergency or scheduled concealed door service! Why choose Armor, Locksmith? We are dedicated to providing the best value in commercial doors, products, and frames to our customers—When you work with us, we: send only the most professional, knowledgeable, and well-trained group of installers—never sub-contractors! Offer outstanding customer service Provide the highest standards of integrity and quality in the industry Strive for professional (but efficient) installation and repair service no job is too big or small for us! 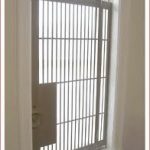 We provide quality window guard and window gates in New York. Our services include glass windows and more. Call (718) 445-9200 today! A window guard is a great way to safeguard your office or business. 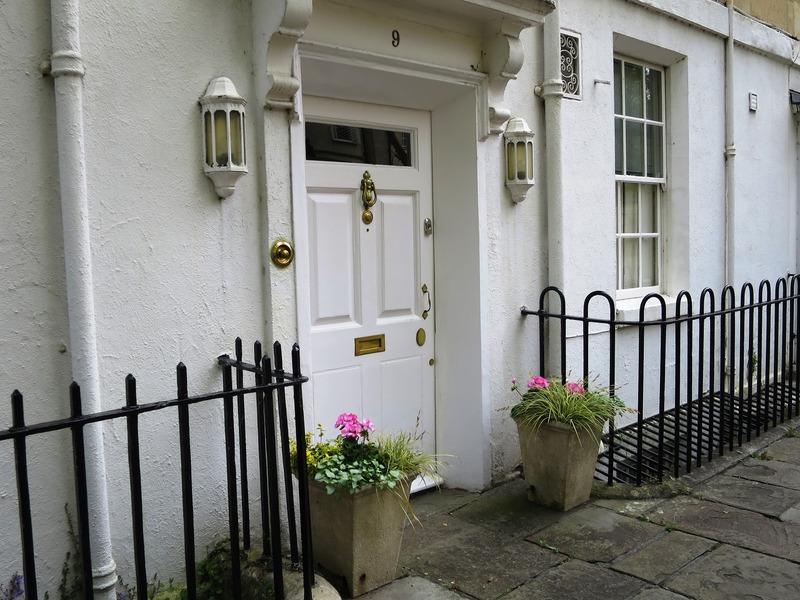 Window gates are an extremely useful way to give your business a more secure appearance by letting in natural light and exposing a glimpse of your building’s interior to the public. But why stop there? 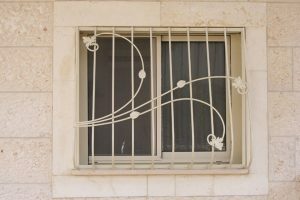 We can help you design a window guard that not only is functional and also expresses style and elegance. 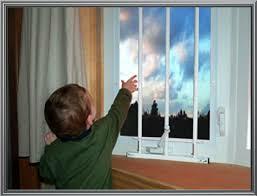 We also help in window guard repair. Our experts can help you keep your window guard looking its best with repair and restoration services. In fact, we’ve helped businesses throughout New York and the surrounding communities repair and restore window gates.When you come to Armor Locksmith, you’ll have access to a team of brilliant minded locksmiths and designers who can work with you to get the most out of your windows. If you’re not happy with your existing window guard, give us a call and let us put our team to work for you. We’ll work with you to improve the current structure and get the most out of your investment. Whether you need a new gate on an existing window or specialty glass for your industry, Armor Locksmith has your solution. We’ve been providing quality commercial glass for companies throughout the area and offer materials for affordable prices on all commercial glass products including the finest restaurant sneeze guards, storefronts, display case glass, as well as commercial doors. 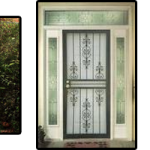 When in need of window gates installed or replacement of the window glass, or fabrication of framework; Our locksmiths have the parts and know-how to make or fix it all. We stock raw aluminum extrusions so that when the need arises, we can cut and punch the frame members and assemble the units for installation to complete your project. We even work on awnings. Our technicians are factory trained in window gate repairs and service on for almost every type of commercial window product in the marketplace. They are known for their imagination and ingenuity. Importantly, we do not use any subcontractors. They arrive in uniform with a fully equipped truck so they can complete the service repair and get your business back to normal as quickly as possible. We leave your business with the area clean, and windows properly fixed. Once we have the exact size measurements of the windows best suited for your needs, our in-house fabrication department uses our equipment to design, weld and fabricate the window gates to your exact measurements. When performing an installation or a window guard repair, our technicians always arrive on time, with fully equipped trucks, the right parts in the right sizes, and with all the tools and equipment they need to complete the assignment. They work with minimum disruption to your business, and when the window guard repair is finished, they take away the parts and systems that were replaced and they leave the serviced area clean, with windows properly repaired and installed and functioning. The best windows, the best fit, the best installation techniques. Whether you need custom window guard installation or need to replace your building’s windows, Armor Locksmith has the solution. During your free estimate, we will work with you to discuss the security, traffic, and weather needs of your building. We provide custom fabrication and high quality. Window gate repair to ensure that your business can continue day-to-day operations as efficiently as possible with your exterior door. For your New York area supermarket, retail store, office building, or healthcare office, we can provide and install the best exterior window gate solution. There are many reasons you might need window guard repair, but no matter the cause, it’s critical to get the problem fixed quickly—for the security of your building, the safety of your employees, and smooth operation of your business. Our technicians arrive at your location with the skills and equipment necessary to fix your windows and get your business back up and running. We provide 24/7 service, so call us today for emergency or scheduled commercial door service!